The purpose of the American Marketing Association is to provide students with real world experience through business workshops, networking activities and professional marketing speakers. Membership in AMA UIC gives you an internationally recognized credential and access to the resources of the largest, internationally recognized marketing association. Join our talented group of professionals committed to marketing in the Chicago land area. 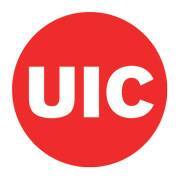 American Marketing Association’s UIC Chapter is an organization of marketing professionals from a broad range of industries who seek the knowledge to make themselves more effective marketers. We offer a broad range of resources to both our local and national members. Behind everything AMA UIC does is a focus on giving marketers easier access to recognized thought leaders, best practices, trends, and resources. We take pride in helping each other grow, succeed, and to make a difference. If you are interested in becoming a member with AMA UIC, you can email us at amauichicago@gmail.com with any questions you may have. You can join our National AMA Chapter by visiting www.ama.org. The National Student Membership Fee is $50.00. Please complete this survey regarding your academic standing, major, and more about your interest in joining AMA. All majors are welcome to join!